When a tree falls down in northern Virginia, can it be reincarnated as a cradle, a tool handle or part of a house? Potomac Overlook Regional Park is working to make this possible through its one-day event “Story of Wood”. The Potomac Overlook, part of the Northern Virginia Regional Park Authority (NVRPA), is on 100 wooded acres in Northern Arlington. Each year, dozens of large trees succumb to old age, disease, windfall, or other factors. Those in the woods are left to provide animal habitat while naturally recycling into compost; however, those that fall across roadways and trails usually must be removed for safety purposes. These hazardous trees’ logs are stored for pragmatic and educational purposes. Pragmatically, the park obtains a supply of sawlogs to convert into usable lumber for benches, boards, furniture, etc. Educationally, the public gets a live demonstration of one of the more fascinating ways to recycle urban trees when a commercial sawmiller comes to saw the collected logs into usable lumber as the visitors watch. The lumber from the day’s event is then air-dried, a process that removes moisture. The dried lumber many then be employed by woodworkers to make furniture. The photo at the top depicts items that are located within the Nature Center and furniture from the adjoining park ranger residence. 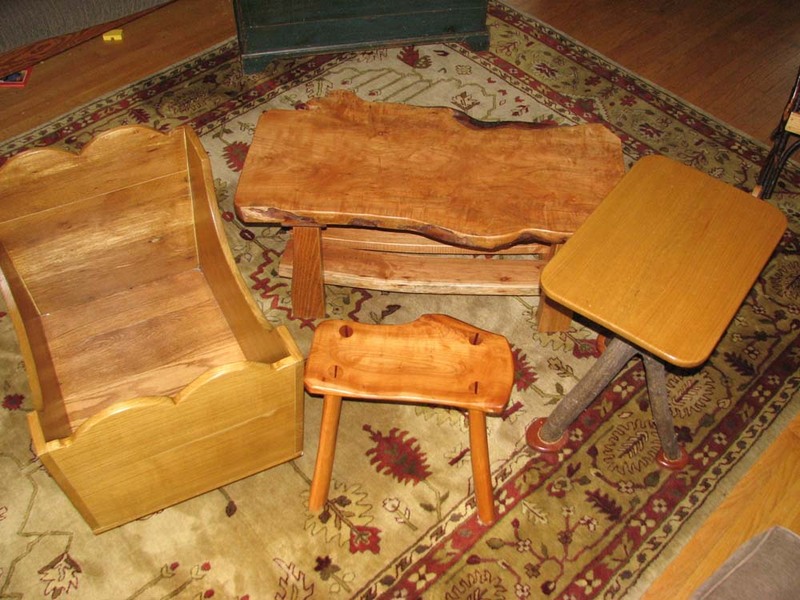 All of the items were made from lumber that was sawed in the park from downed trees. Some of the other lumber has been sold or given to local woodworkers, and has been used to make toys, furniture, boats and more. This year’s sawing will consist of quarter sawing some large black oak and tulip poplar and plane sawing some medium-sized pecan and black cherry. 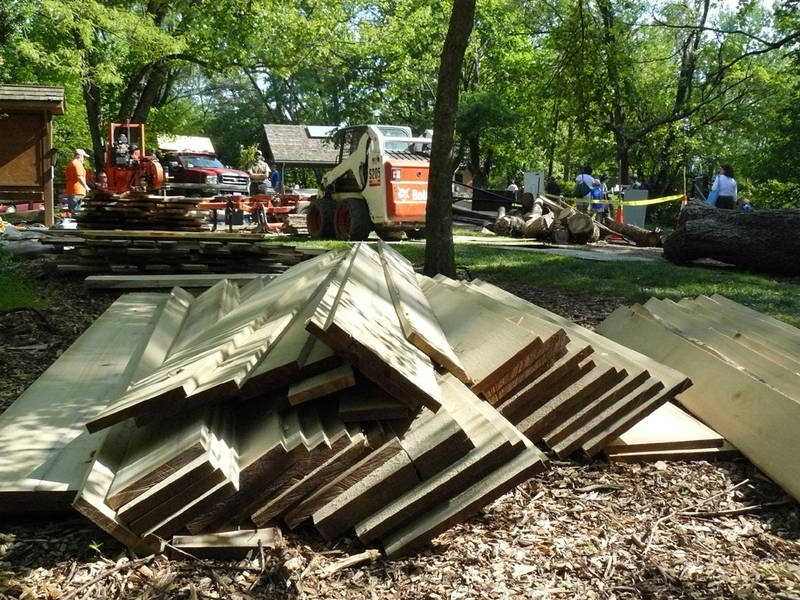 It is anticipated that much of this year’s lumber will be donated to the Arlington Public Schools for use in their high-school vocational wood shop program. On Saturday, March 26, at 2 p.m. the Story of the Wood educational program will again be held. 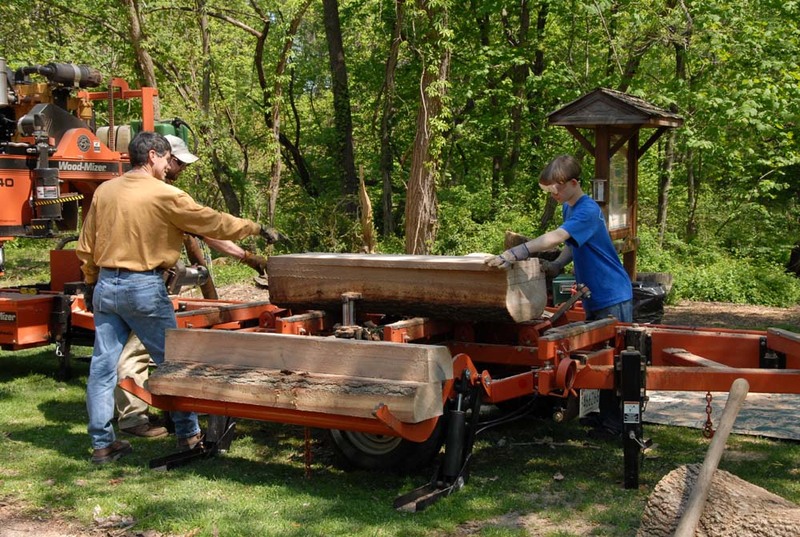 Come and see the sawmill and lathe in action – machines that fascinate children of all ages! TreeStewards, Master Naturalists, and the Virginia Department of Forestry will also be present to conduct short talks on forestry, tree planting, wood lore and other wood uses. Observing the milling demonstration is accessible to all visitors and does not require reservations. To participate in other programs, please reserve your spot by calling 703-528-5406. The free program is co-sponsored by Northern Virginia Conservation Trust, Arlington County Nature Centers and the Audubon Society of Northern Virginia. This entry was posted in Community Service, Education and tagged recycling, wood. Bookmark the permalink.